It's almost becoming a tradition for me to start every month with the books I read the previous month. And you know what? I don't hate it. (After I typed that, I realized I really have only done this the last two months, so question. Is it a "tradition" if it's only happened twice? Probably not but oh well. So full disclosure, I wish I dedicated more of my time to reading. But I love TV almost as much as I loving reading so I split my time with both. However I think the next few months TV might be taking a bit of a back seat because I am currently 12 books away from my goal of a messy 50 books for the year. I was really hoping to surpass that goal but if I do surpass it, I'm pretty sure it will be by just two or three books. Which is fine but I was hoping to surpass it by 15 or more. Ce la via! Alright lets get to the books I read the month of October. I've been pretty steady at reading 4-5 books per month the last was no different. 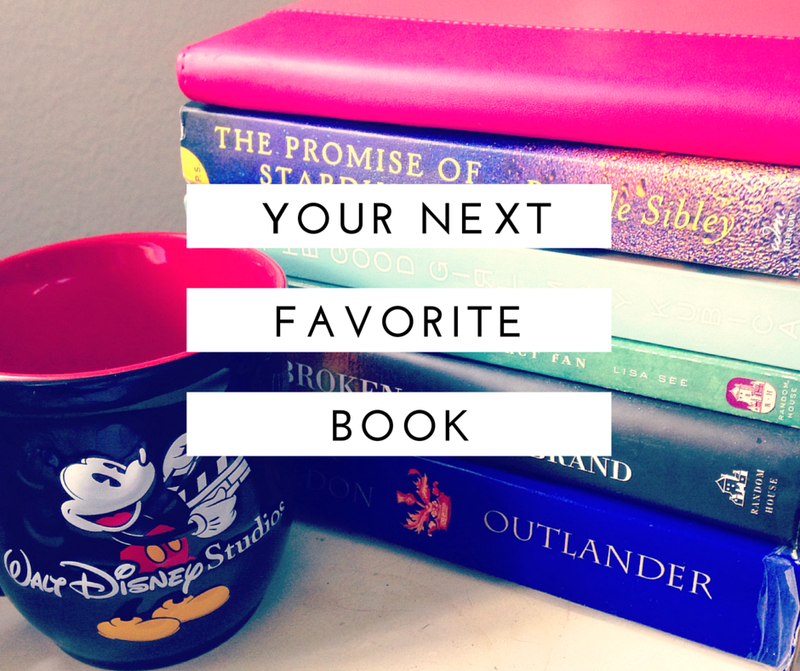 But unlike last month, I really really liked all four of the books that I read! So lets get to them shall we?! Goodreads Synopsis: The long path to the throne has only just begun for Aelin Galathynius. Loyalties have been broken and bought, friends have been lost and gained, and those who possess magic find themselves at odds with those who don't. 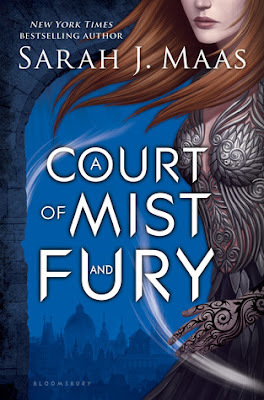 Goodreads Synopsis: Feyre survived Amarantha's clutches to return to the Spring Court—but at a steep cost. Though she now has the powers of the High Fae, her heart remains human, and it can't forget the terrible deeds she performed to save Tamlin's people. 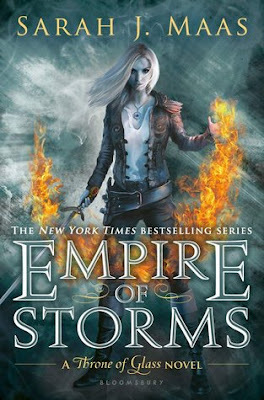 My thoughts: This is the second series by Sarah J. Maas and y'all, it's just as good as the Throne of Glass series. I may even be a little but better. I personally like the sequel as even better than the first book, A Court of Thrones and Roses. Which is weird for me because very rarely do I like a sequel more than the originial. But it is 100% true of this one. The characters are so much more developed in this novel, the world of High Fae is explained in more detail and you get completely submerged in Feyre's world. AND THE ENDING!!!!! OH MY GOSH THE ENDING!! SO GOOD! Sorry I'm yelling but it really was that good. It has me desperate for May! That's when the third book comes out. Sarah J. Maas is on a roll y'all. She's got two very successful series and they are both so good! I can honestly say she's become one of my favorite authors. I know I'll read just about anything she writes from here on out. Goodreads Synopsis: Inspired by the life of a real World War II heroine, this debut novel reveals a story of love, redemption, and secrets that were hidden for decades. New York socialite Caroline Ferriday has her hands full with her post at the French consulate and a new love on the horizon. But Caroline’s world is forever changed when Hitler’s army invades Poland in September 1939—and then sets its sights on France. An ocean away from Caroline, Kasia Kuzmerick, a Polish teenager, senses her carefree youth disappearing as she is drawn deeper into her role as courier for the underground resistance movement. In a tense atmosphere of watchful eyes and suspecting neighbors, one false move can have dire consequences. For the ambitious young German doctor, Herta Oberheuser, an ad for a government medical position seems her ticket out of a desolate life. Once hired, though, she finds herself trapped in a male-dominated realm of Nazi secrets and power. The lives of these three women are set on a collision course when the unthinkable happens and Kasia is sent to Ravensbrück, the notorious Nazi concentration camp for women. Their stories cross continents—from New York to Paris, Germany, and Poland—as Caroline and Kasia strive to bring justice to those whom history has forgotten. My thoughts: Of course I couldn't get through the month without another World War II historical fiction novel. And boy was this one heavy. I loved reading the different perspective of the three different women. I will say that I found that I probably could have done without Caroline's portions but I know why she was included. She as the author's original inspiration for the novel. But I would have been perfectly happy just reading from Herta and Kasia's point of view. This was definitely one of the heavier World War II books I've read. It felt a little more person because the focus was on women in concentration camps and I just cannot imagine having gone through what the ladies sent to the Ravensbrück concentration camp went through. I will say I was a tad disappointed with the end of book. I felt that it ended very abruptly and I wanted more. This book is definitely worth the read but be prepared for lots of emotions when you're done. Plus the cover is gorgeous! I may or may not have bought the hardback version just to add it to my bookshelf of pretty things. Goodreads Synopsis: One Life to One Dawn. My thoughts: I added this book to my tbr after seeing it on Kristen's photo of the 500 library books she checked out. Ok it wasn't 500 but close! ; ) Anyway, I saw the title and it caught my eye so I added to my TBR list, and then spoke with some of my reading teacher friends who had already read it and they said it was good. So I trekked to my own library (I'm trying to save money) and wah-la! Loved the fact that it's based in the Middle East. I rarely read books based in that part of the country and so it was a very refreshing read. I loved the detail she gives about the food, clothing, and daily life in that part of the world! I was very impatient while reading the book though because I was dying to know why these brides were being killed. And of course you don't find out until the very end of the book. I will say I would have liked a little more of an introduction at the beginning. I felt like the book jumped right in and didn't really set up the beginning very well. That was one of the things that prevented me from giving it five stars on Goodreads. I'm excited to read the sequel though because I'm hoping we get a little more development in the relationship between Khalid and Shahrzad. I didn't quite buy their love story in this book, which is another reason I didn't give it five stars. But I have a feeling it develops much more in book two! Even though I only gave it 4 stars I still really enjoyed the book. 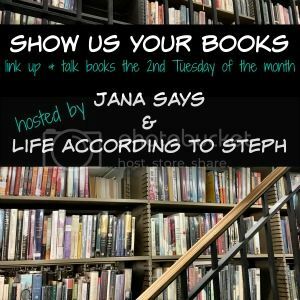 Looks like you found some awesome books this past month!! 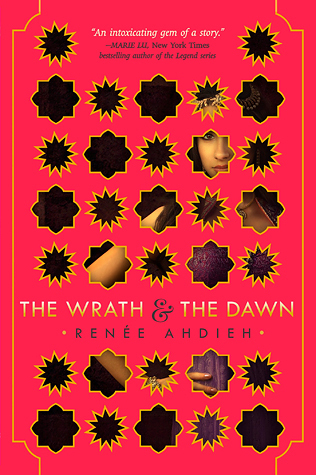 I just finished The Wrath & The Dawn yesterday and had the hardest time getting into it/buying the premise, but somewhere along the way I got hooked on the Khalid & Shazi love story and was completely into it. I really loved the setting too, the food descriptions always made me so hungry and everything was described so vividly! I haven't read anything by Maas, as I usually don't care for fantasy, but after how much I liked The Wrath & The Dawn I'm slightly more swayed to try one of Maas' series out. i was totally sold on Khalid and Shazi haha. i loved them! i totally know what you mean though, i was like wait, i need an explanation! i hate when books just throw you in with no explanation, but then those books normally end up being amazing, it just takes a bit to get to amazing, you know? and seriously yes it felt like 500 books. i finally just took a bunch back because there is no way i will get through them all (because TV holla). i haven't read sarah j maas' other series, but it's on the (never ending list). i am only a page or two into empire of storms because of the whole being obsessed with this tv show thing, but eventually i will get to it. also, lilac girls is on my kindle. one day! I'm the same way, I totally split my time between reading and TV and it's been hard to figure out a schedule to do both each night. I've learned to just read on the nights I have no important shows on. Good luck on reaching your goal!! I definitely need to check out some of these books! They are all already on my list!!! Sounds like a fun reading month!! I'm so glad that the 5th book is good!! :) I can't wait to read it! I need to start the other series as well! Definitely going to check out that last book. And Lilac Girls! I read Throne of Glass a few months back and it unfortunately didn't rock my world, which surprised me. It sounds like a book/series that I would love! The Wrath and the Dawn is already on my TBR and it's been getting such great reviews that I may need to bump it up on my list! Lilac Girls gutted me. I read it earlier this year and haven't been able to pick up another WWII novel since. I'm so glad that I finally understand why the heck all of y'all are obsessed with Sarah Maas! I can't wait to read more of her books! And like we discussed last night, I'm totally with you on the Caroline section of Lilac Girls. Her storyline wasn't the main part, and by removing some of those sections the book could have been about 100 pages less. The Wrath & The Dawn sounds so good! I'm glad that you and Kristen both loved this book this month, and hopefully I'll get around to reading it soon! 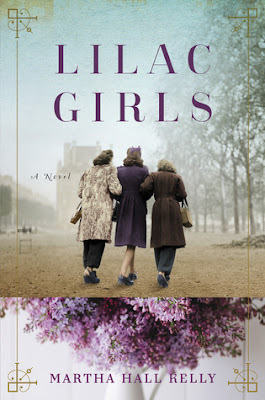 So many have said good things about The Lilac Girls but I struggle with WWII and Holocaust books. We'll see what happens. I still need to read Wrath and the Dawn. So many 1001 Nights retellings came out in YA last year and that's the one I didn't get to!